If you’re looking for a southern rock and bluesy super group to kick off the summer, you need to check out Southern Soul Assembly, now touring throughout the Midwest. I had the privilege of seeing this amazing group of musicians at The Pageant in St. Louis on Thursday, March 23rd, and it’s not a performance I will soon forget. 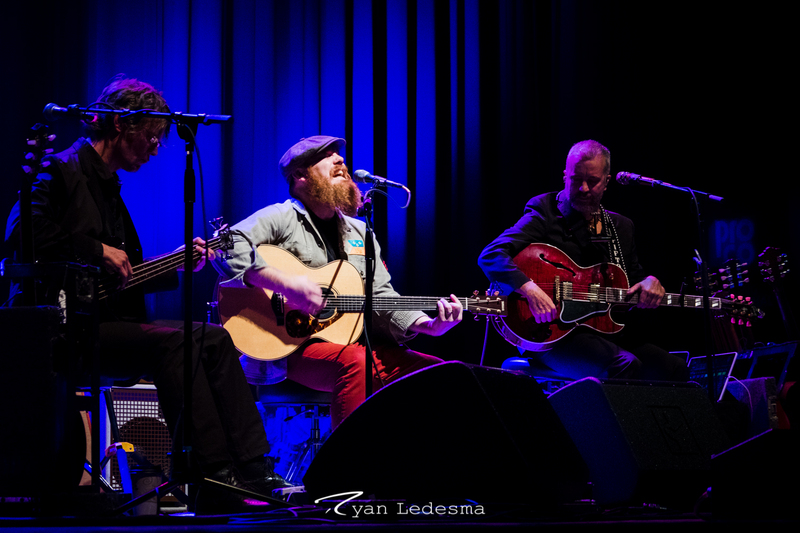 Southern Soul Assembly is comprised of four members: J.J. Grey, Marc Broussard, Anders Osborne, and Luther Dickinson. My experience was that this group packs a powerful punch and brought their all to the performance Thursday night. 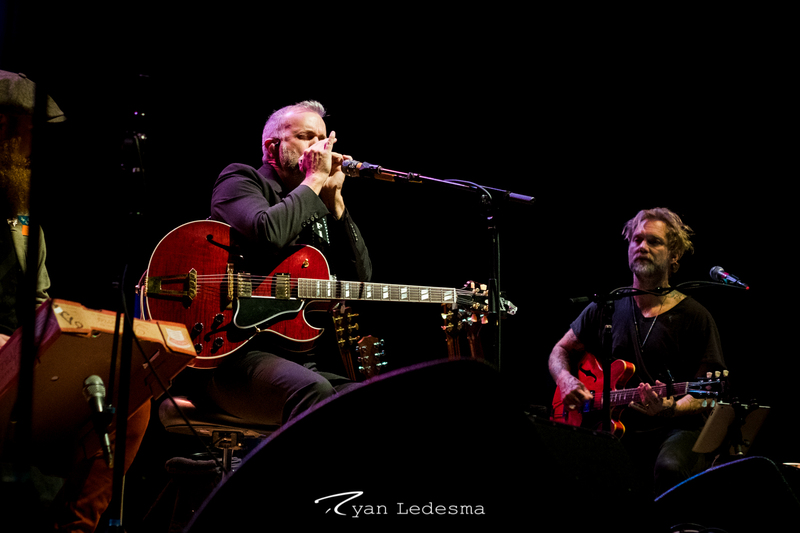 All four musicians were seated together on stage, taking turns singing and playing their selected songs while the others accompanied the music in their own way. This group had some serious chemistry, and I liked how each musician had their own special sound that still managed to complement the others. The night’s music varied between blues, rock ‘n roll, classic hits, and Americana ballads. Luther Dickinson and J.J. Grey provided more of the bluesy rock for the night, while Marc Broussard and Anders Osborne played music with a folk edge. Having only heard music from J.J. Grey, I was intrigued about what the other members of the group would bring to the show. According to Marc Broussard (who thanked Grey during the show), Grey was the one to take the lead in getting the tour together. Grey, who hails from Jacksonville, Florida, is by far the most recognized of the group, having done solo shows across the country with his band, Mofro. His music is inspired by a mix of rock, blues, and funk, which is perfect for his gritty yet effortless vocal range. With the show on Thursday he performed a variety of songs that included rougher bluesy ballads with some lighter, folk-inspired songs. The crowd went wild every time he stood up to play, and after seeing him live I understand why. The man’s got a presence, making his performances that much more compelling. Marc Broussard is not a name I had heard of before this show (I live under a rock, so sue me), but he’s one to look out for in the future. Performing a mix of his own songs and covers of larger hits, Broussard put his heart into each song and really impressed me with his range. Don’t even get me started about how much I enjoyed his cover of Solomon Burke’s 1964 hit, “Cry to Me.” Most of the men in the audience couldn’t figure out why all the ladies went wild at his impressive rendition of that classic, which just means that they need more Dirty Dancing in their lives. 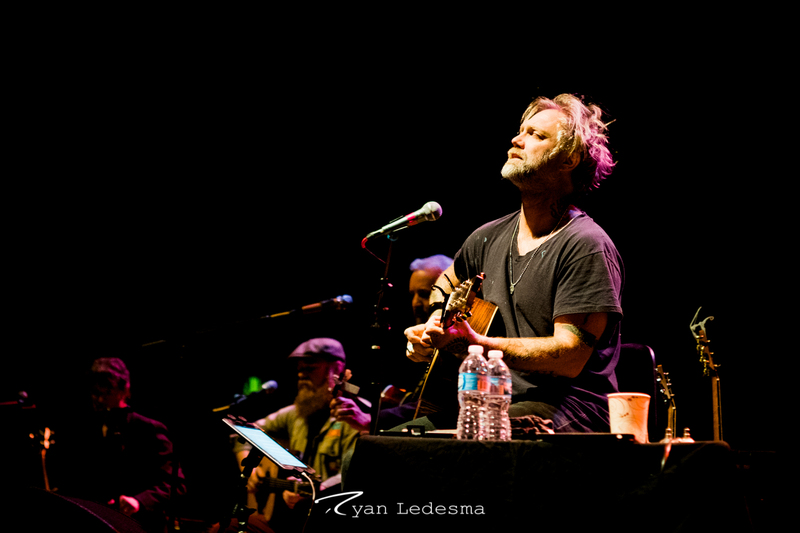 Anders Osborne is the wild man of the group, and watching him perform was unforgettable. His performance is so untamed and full of heart, you can’t help but be entranced. 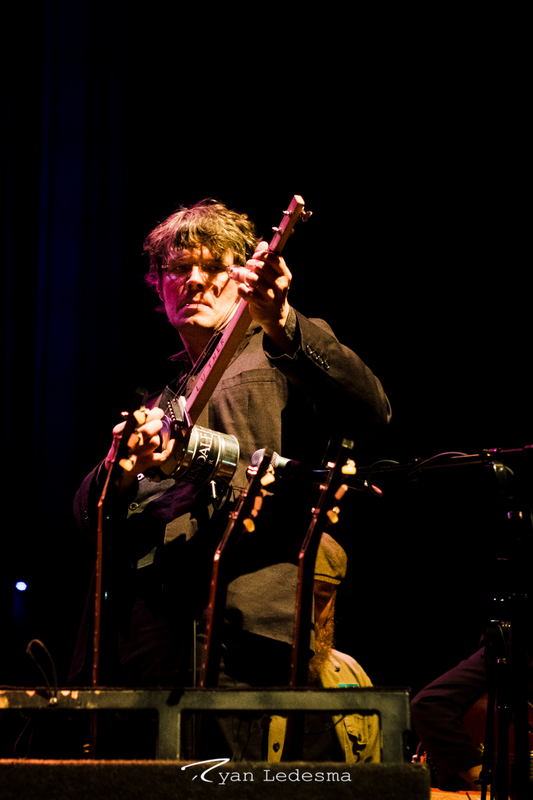 Performing his own songs and largely using the acoustic guitar, Anders Osbourne is mesmerizing to watch. I liked his songs and was impressed by how far he was willing to push his voice, but what stayed with me about him was the amount of soul he put into each song. Stomping his feet, shaking his head, standing up and sitting down, this man holds your attention throughout the entire performance. Osbourne and Luther Dickinson have toured together before, so there was an additional repertoire between the two, which resulted in some great collaborations during the show. Ah, Luther Dickinson… Dickinson was the fourth man in the group, and it was his CD that I ended up buying by the end of the show. That’s not to say I won’t be buying any of the other artists’ albums, but I only had so much cash on me and had to make a split-second decision. Dickinson was another artist that I hadn’t really heard of before, but this unassuming musician has established himself as a legend through his solo album and his band, North Mississippi Allstars. His late father, Jim Dickinson, was also a performer, working with Aretha Franklin, Bob Dylan, and the Rolling Stones. Alternating between his bass, electric guitar, and a bass made from a tin can (yes, really), Luther’s performance was raw, gritty, and everything I wanted in a blues show. Dickinson has a decent voice, but it was his rough and edgy moments on bass that really made him stand out. Dickinson’s playing reminded me of the old blues performers, because there was so much emotion and raw energy behind his work. Southern Soul Assembly was a knockout group with incredible performances from each musician. It was a treat to see these established musicians play together, and I commend J.J. Grey for choosing such a talented, yet underrated, group of performers. The Pageant was packed, the atmosphere was phenomenal, and the night was memorable as the blues played on in St. Louis. Flogging Molly Show at The Pageant March 10 Sold Out!